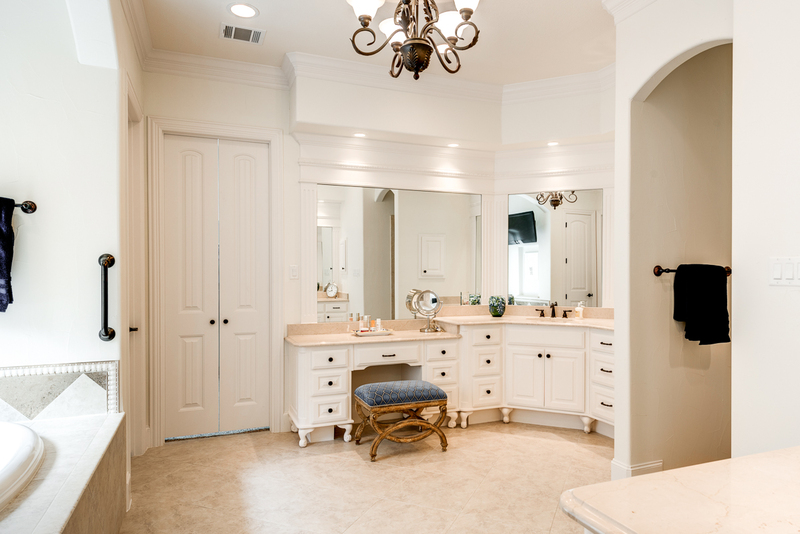 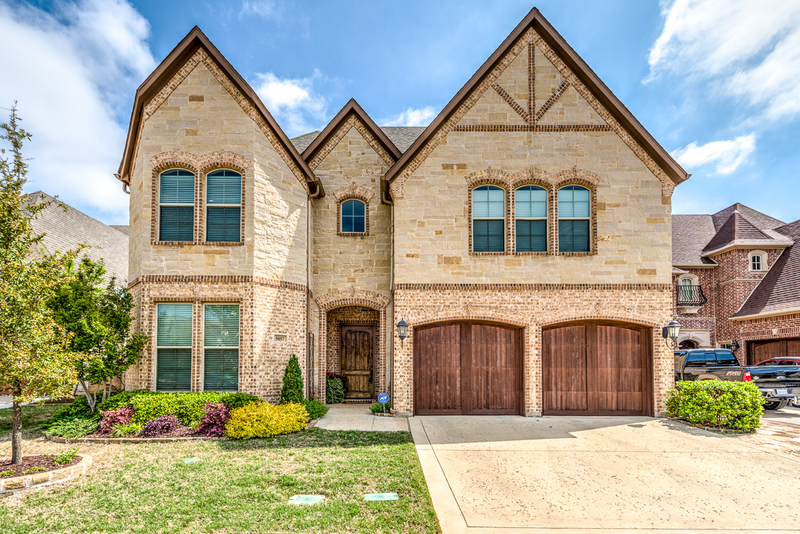 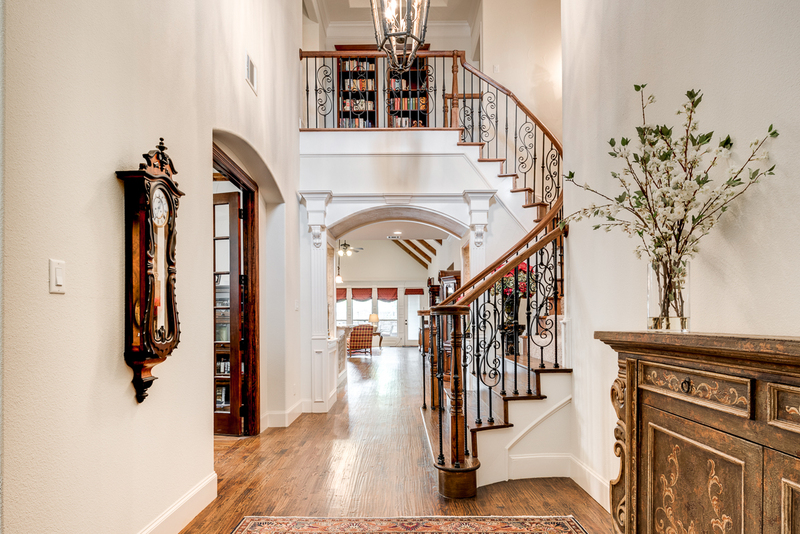 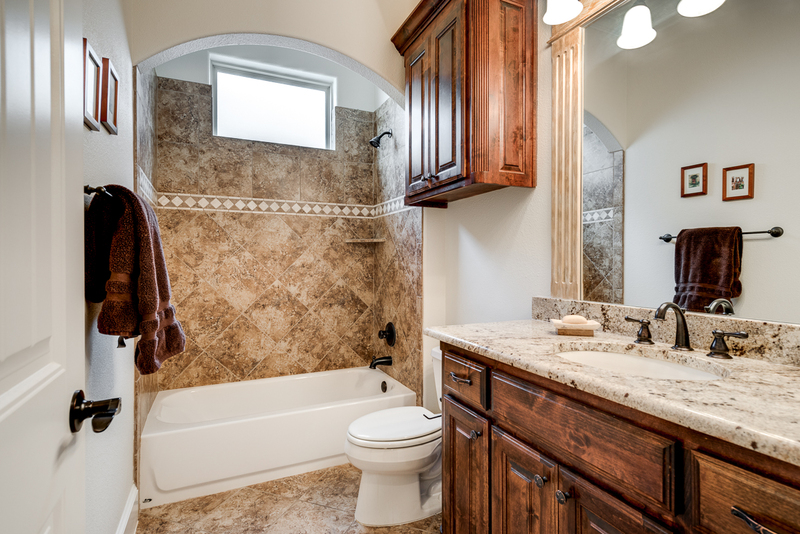 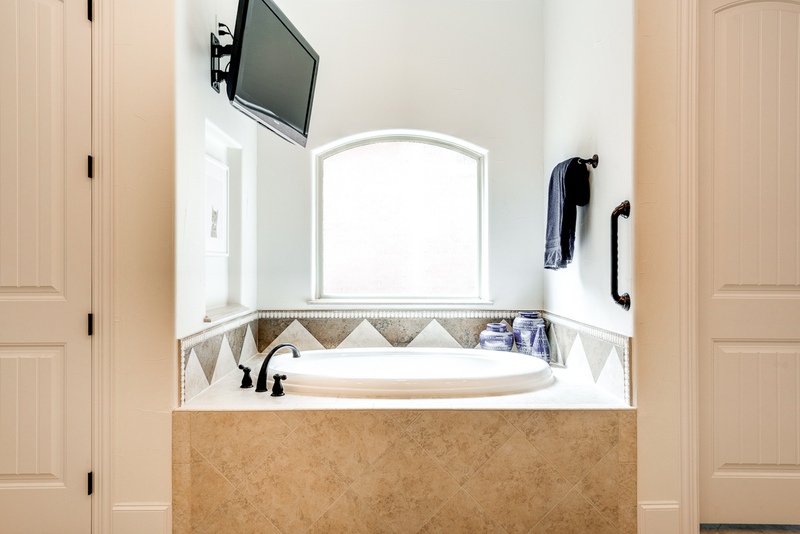 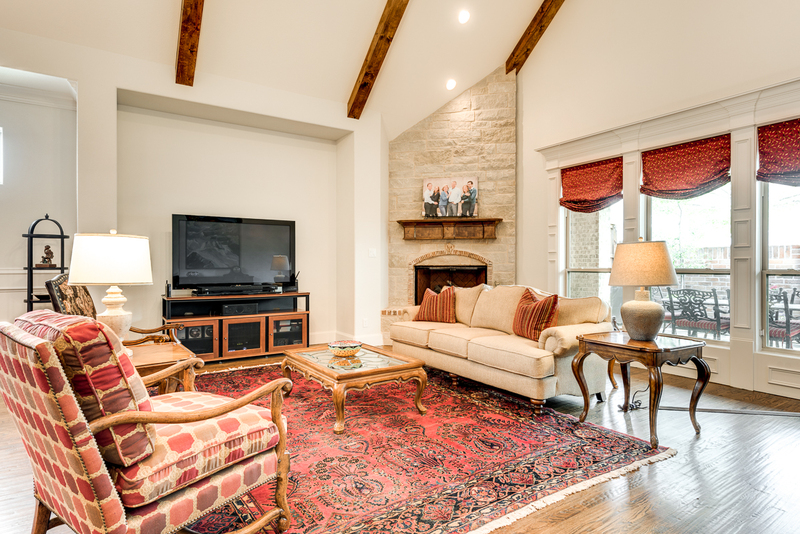 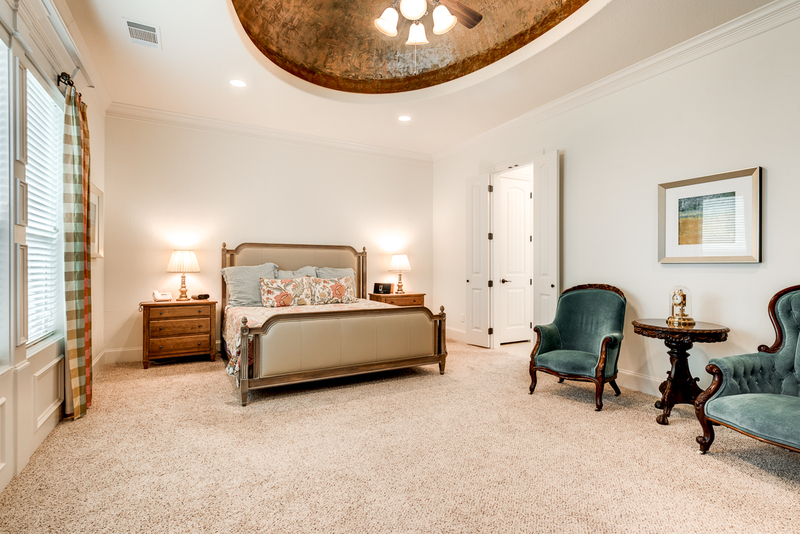 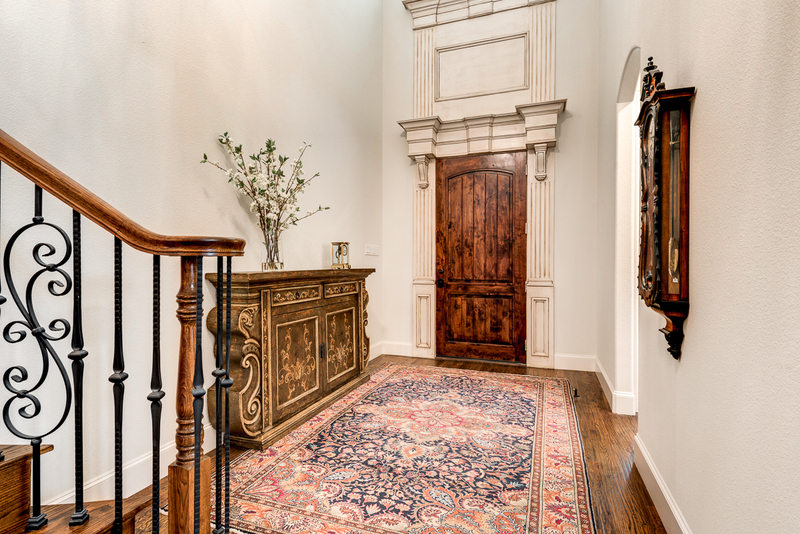 This custom, luxurious villa located in the highly sought after gated community of Copperglen and GCISD has it all! 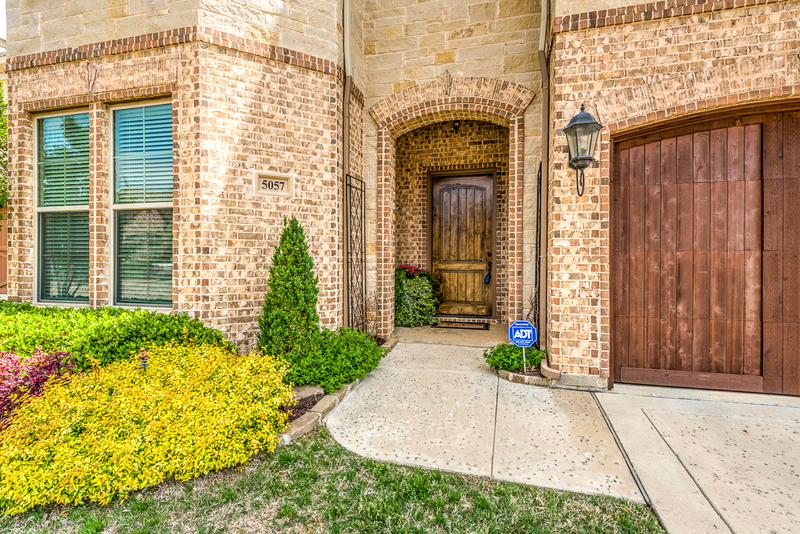 With 4 bedrooms, gourmet kitchen, big study, bonus room, low maintenance yard, mud room, oversized 3 car tandem garage, extra bonus room upstairs, and luxurious finish out, this home is a must see. 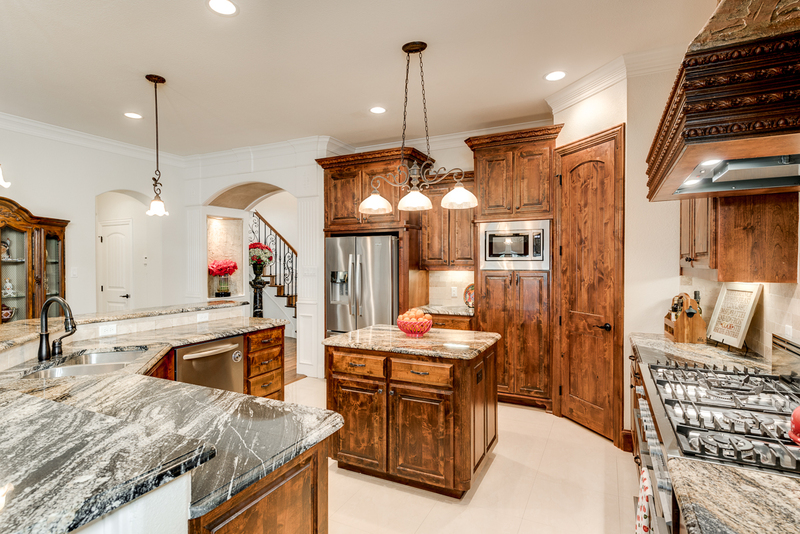 This like new home offers hand scraped hardwood floors, tall ceilings, custom built ins, crown molding, an open floor plan, lots of natural light, tons of storage, and is located in an upscale neighborhood with easy access to shopping and dining! 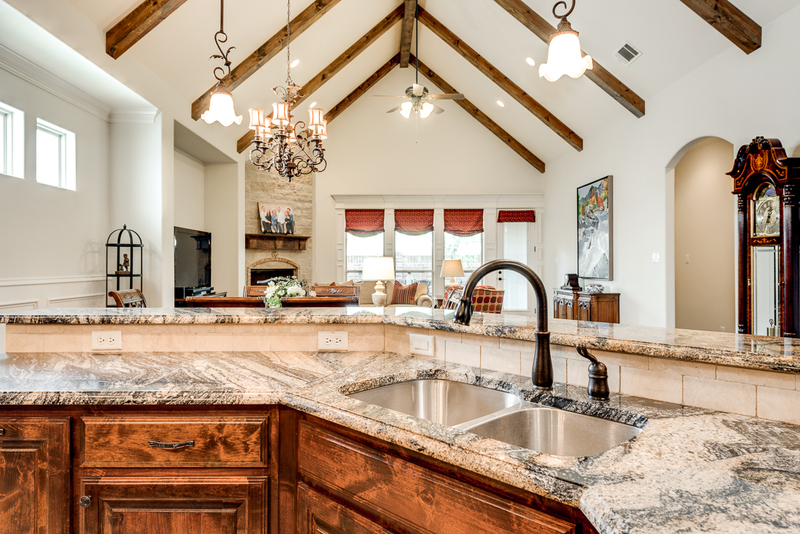 The dream kitchen offers granite counter tops, 6 burner gas stove with warming drawers, double oven, stainless steel appliances, an island, dry bar with wine fridge, and plenty of cabinet and counter space. 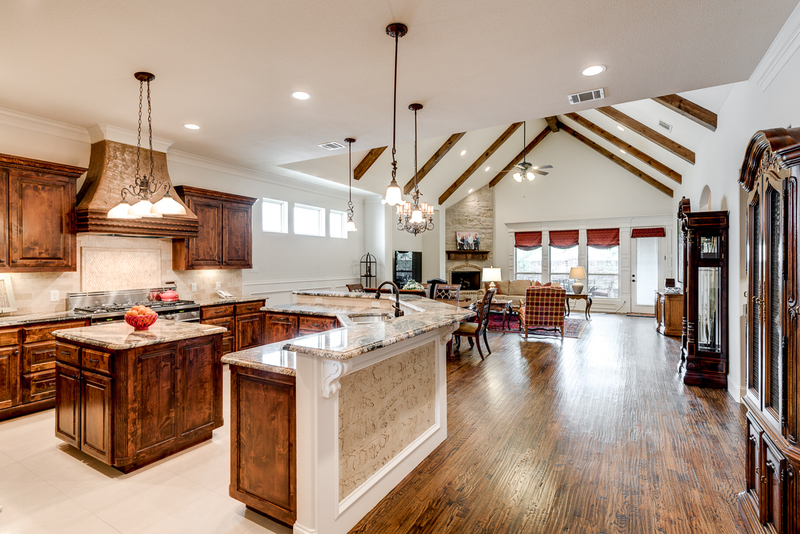 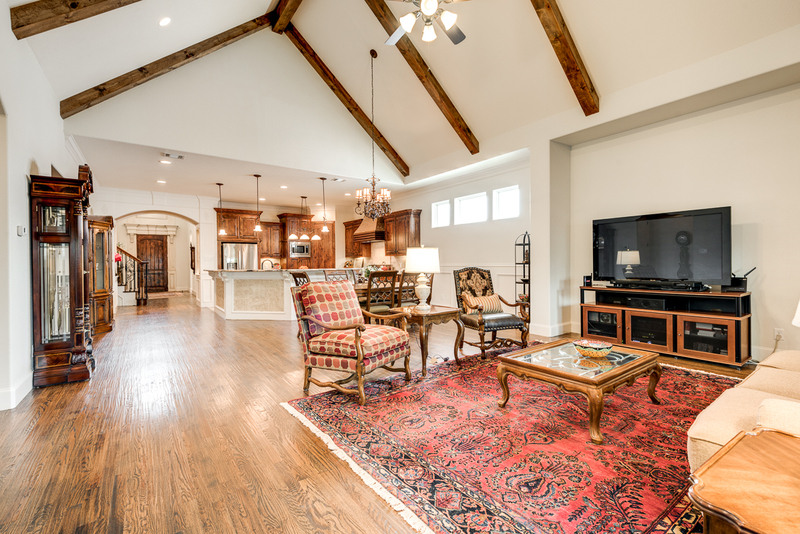 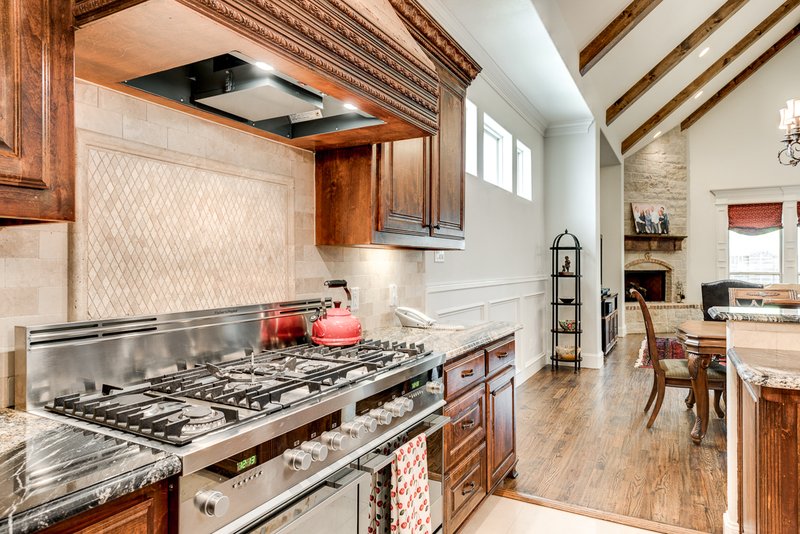 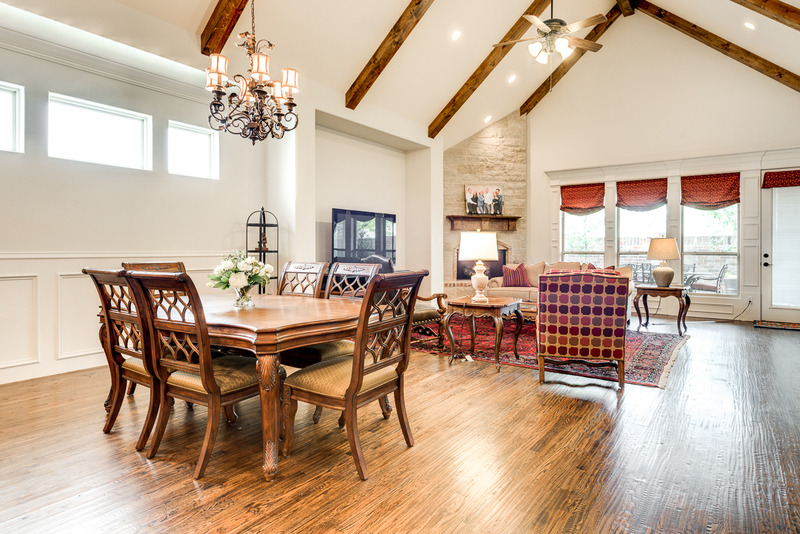 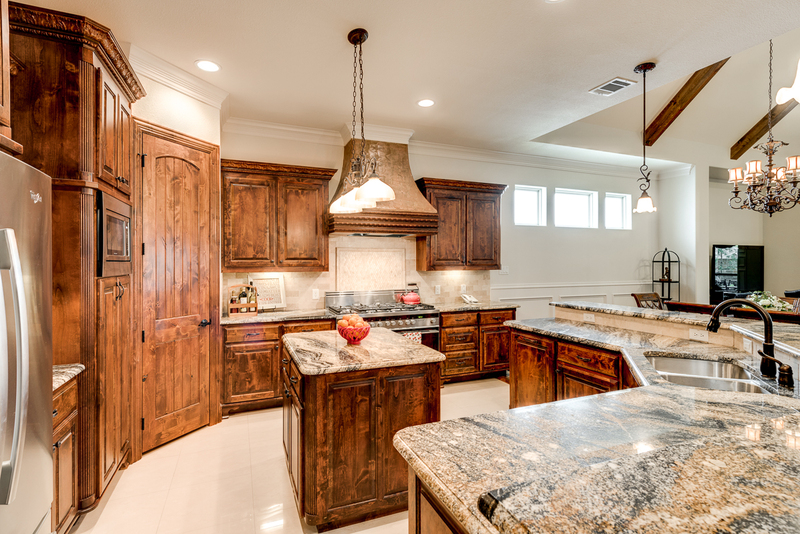 The kitchen opens up to the large living room with beautiful cathedral beamed ceilings. 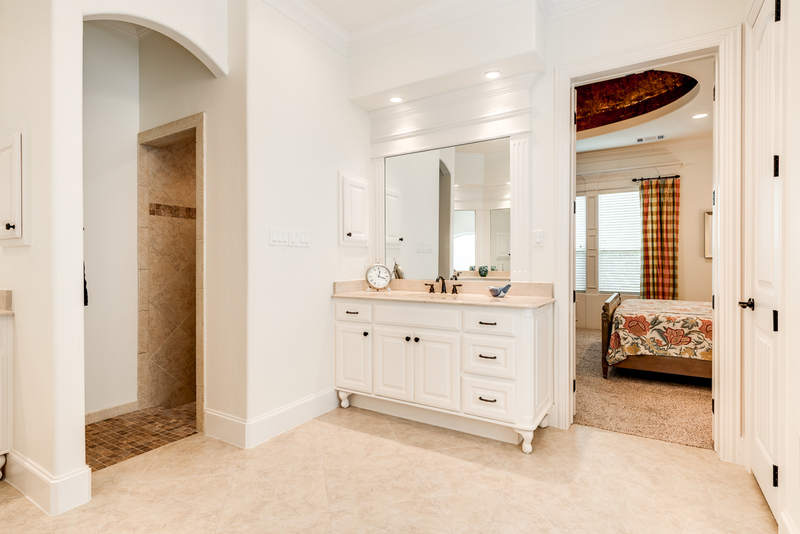 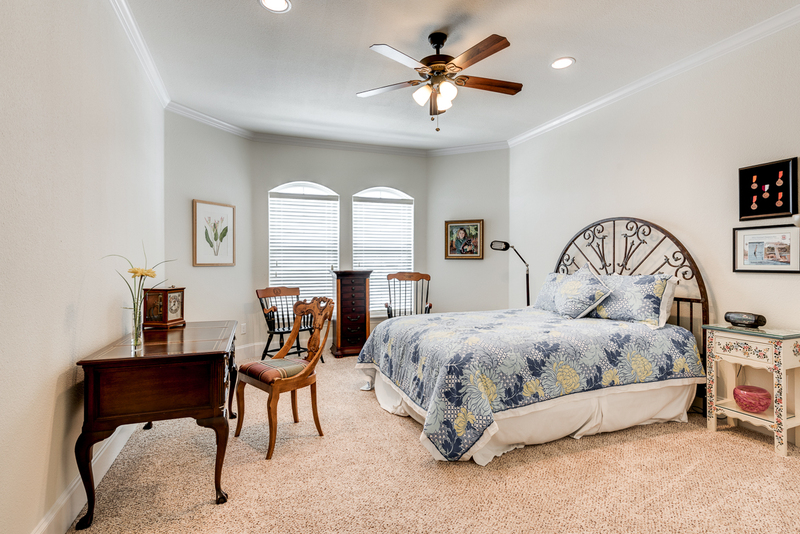 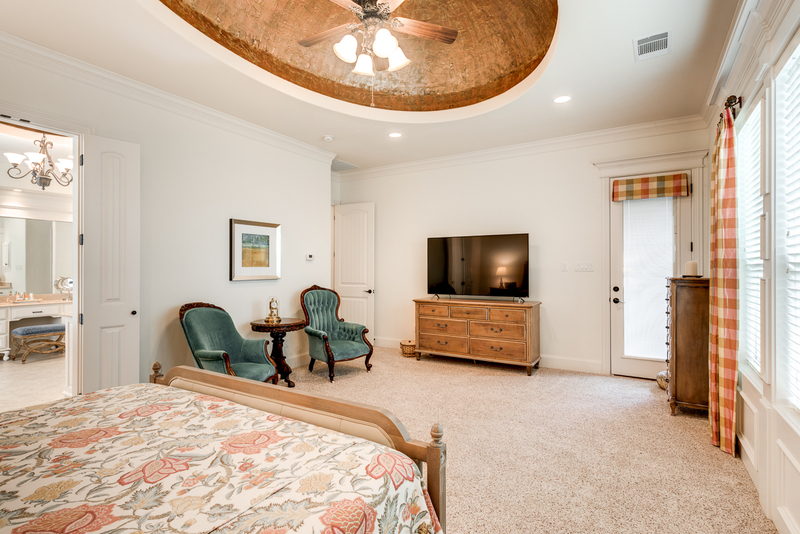 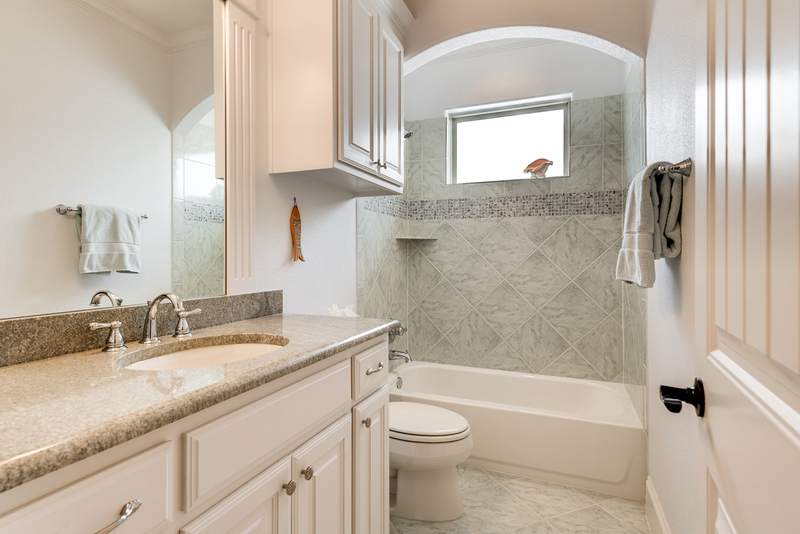 The spacious master bedroom suite boasts a sitting area, access to backyard, big garden jetted tub, double shower, large closet with built ins, and easy access to laundry room. 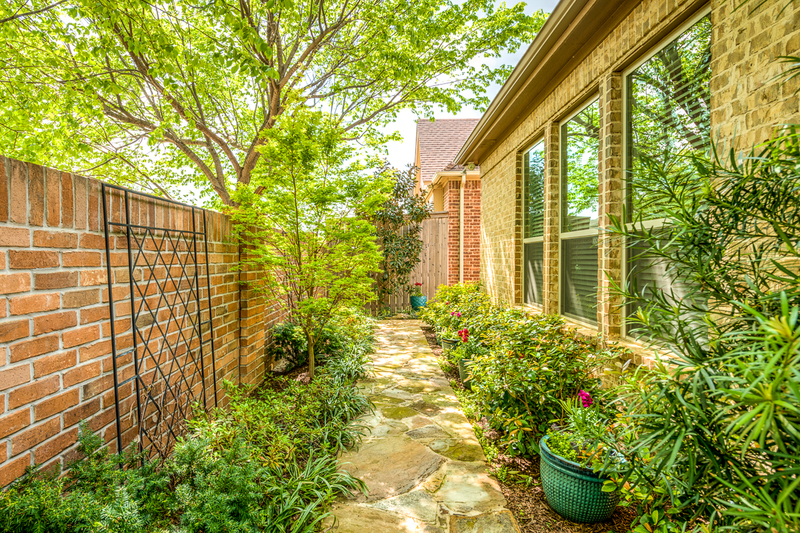 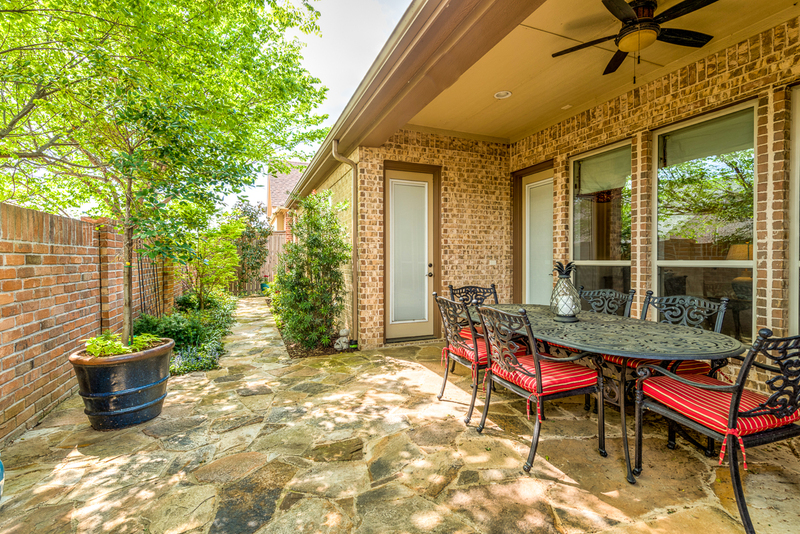 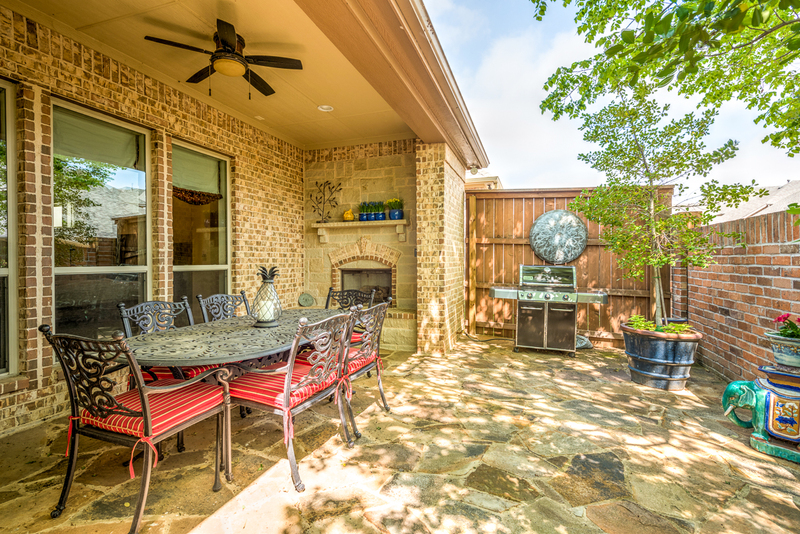 The backyard offers a covered patio with an outdoor fireplace, landscaping and garden, gas grill ready, and the HOA covers the front yard maintenance! 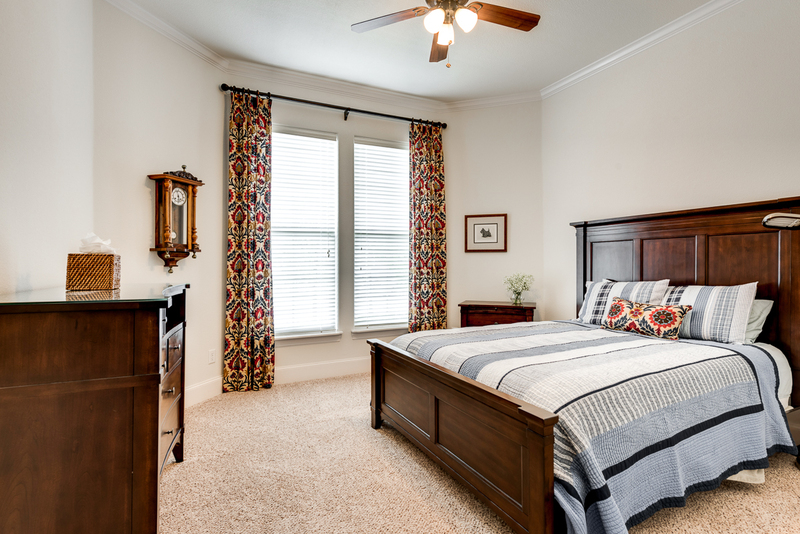 One other bedroom located downstairs - split layout. 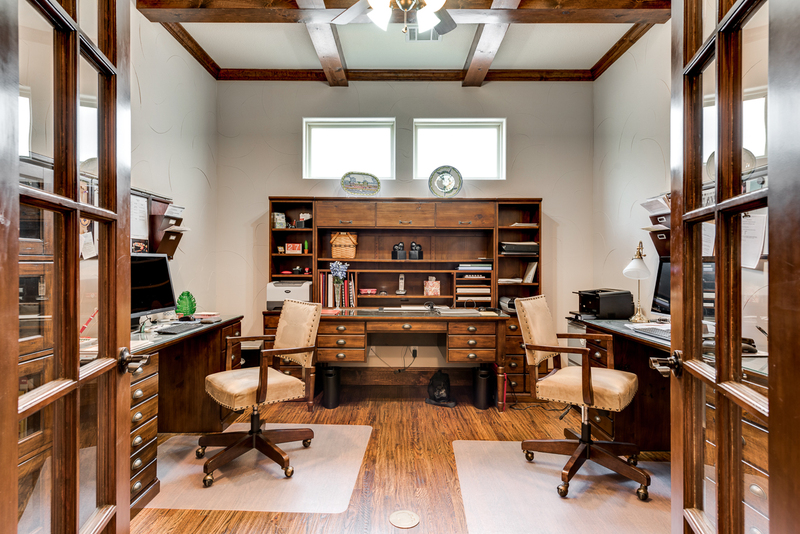 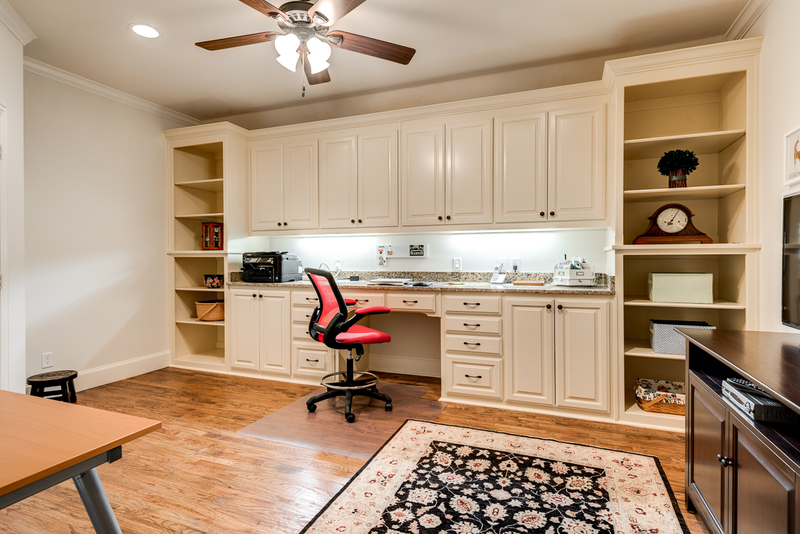 An extra bonus room has been built upstairs with a built in desk. 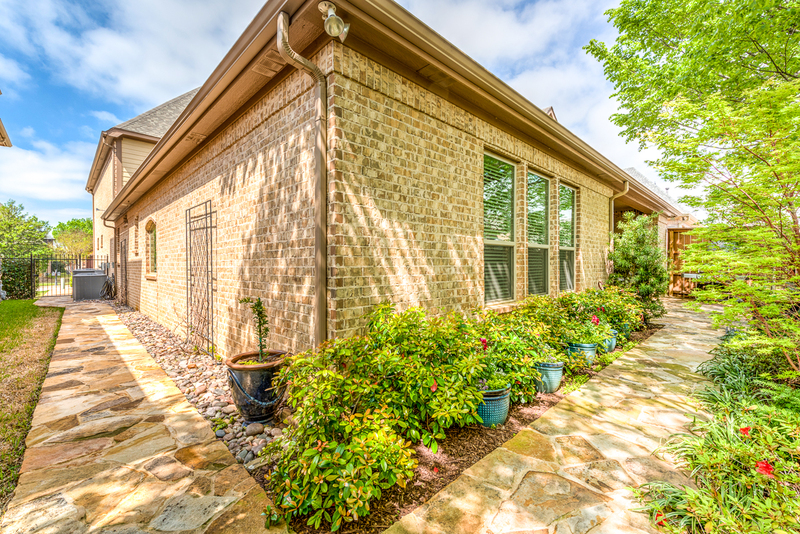 Home also features two 16 SEER HVAC Systems, radiant barrier, wall insulation, energy star thermal paned windows and doors, and circulating hot water system (very energy efficient!!) 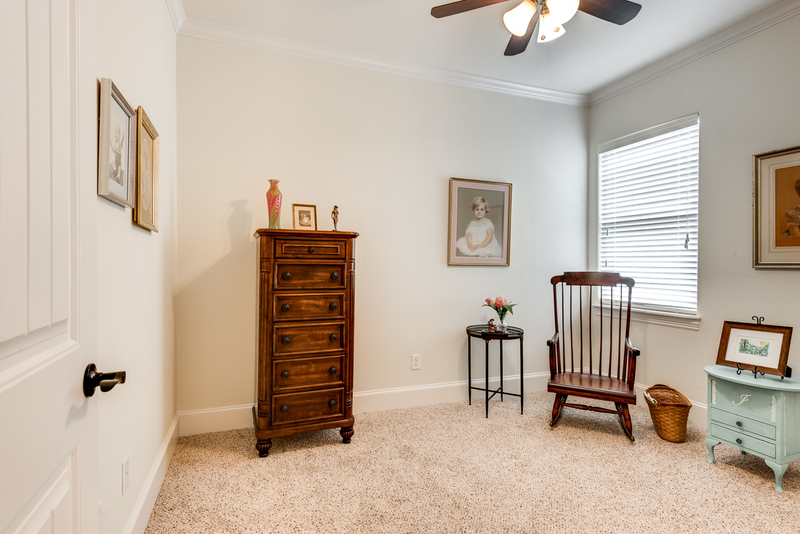 One unfinished bonus room upstairs as well!